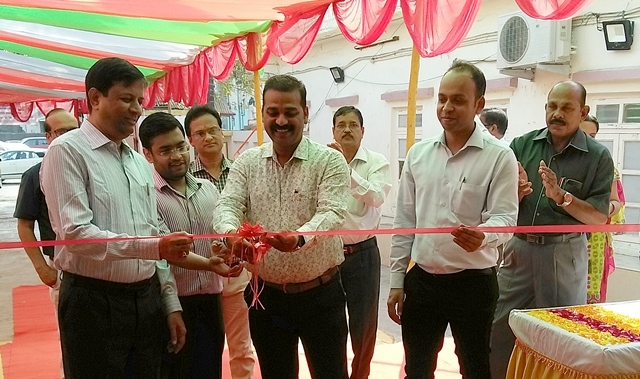 The UT Administration of Daman & Diu (Directorate of Education and District Panchayat); and National Book Trust, India are organizing three-day Daman Book Fair (26–28 February 2018) which was inaugurated today at Macchi Mahajan Hall, Nani Daman by Shri Suresh Bhai J. Patel, Chairman of the Daman Zilla Panchayat. Shri Patel spent considerable time while going through the books and interacting with students. Shri P.S. Jani, CEO District Panchayat, appreciated the variety, quality and content of the books exhibited. On this occasion, Shri Harshit Jain, Director Education, said that it is important to encourage the reading habit among students as it supplements their classroom studies. Shri M.D. Patel, Assistant Director (Education); Shri C.B. Patel, Assistant Director (Education, District Panchayat), Ms. Smita Thomas, Assistant Education (Inspector) and Shri M.G. Smart, Nodal Officer (Education Schemes) were also present on the occasion. On the first day itself, about 3500 students visited the fair. There was huge enthusiasm among students and teachers to buy books of their choice. There is a wide range of books to select from, covering various topics and genre, and available in all major Indian languages. 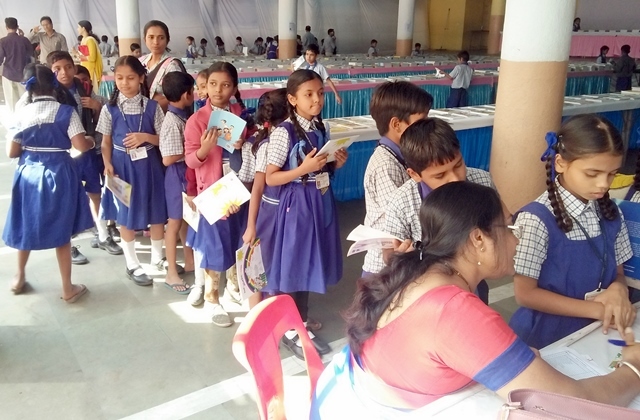 An interesting highlight of the book fair is the initiative taken by the UT Administration, where the students visiting the fair with school teachers can select a book of their choice which will be sponsored by the UT Govt. The UT Administration has invited all schools of the district including Govt. Schools, Govt.-aided Schools as well as Private Schools. After school hours, the book fair is open to public till 7 pm. 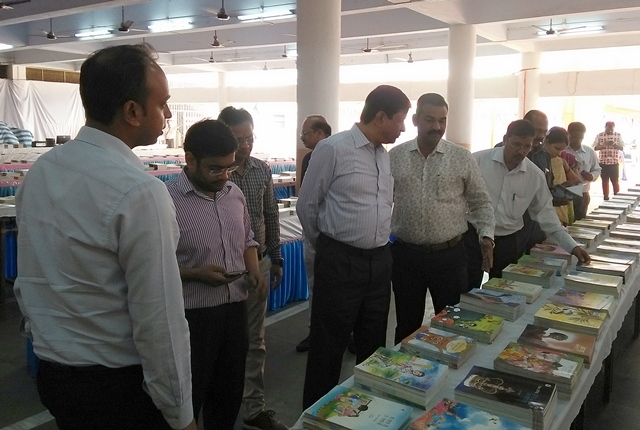 The National Book Trust, India, an apex body under the Ministry of Human Resource Development, Govt of India with a mandate of inculcating reading habit among people has displayed an array of books at the Daman Book Fair, which will interest young and old alike. 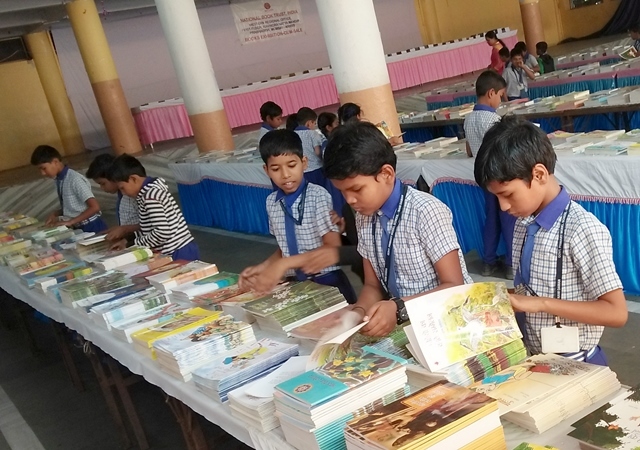 In tune with its ongoing initiatives to take the mission of reading habit to the grassroots level, the National Book Trust, India is working with various State Govts. and UT Govts. at various levels in setting up libraries at Panchayat level, and also organising Panchayat Book Fairs across the country. Currently, the National Panchayat Book Fair is underway in Srinagar, Uttarakhand till 28th Feb 2018.